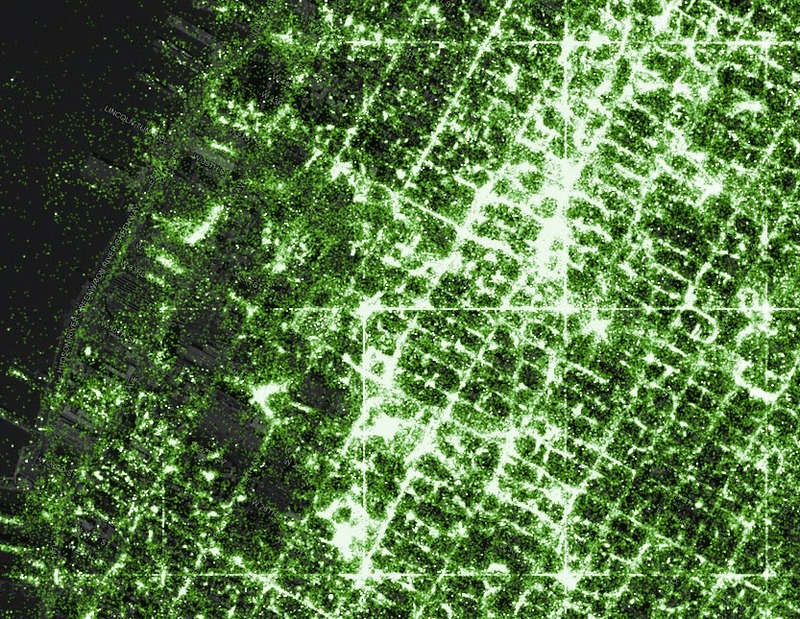 Mapbox have produced a map of over six billion tweets collected over the last few years. 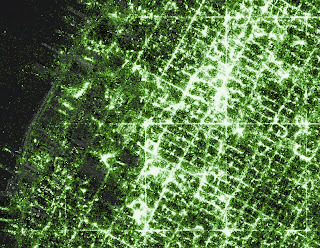 Each geolocated tweet is represented by a green dot. The below map is fully zoomable and interactive. What makes this map different from other twitter maps is the sheer size of the dataset used - 6,341,973,478 tweets! Time has also been taken to ensure sure the map looks good. Without careful fitlering of the data, unsightly and odd looking banding and splotching would appear on the map. 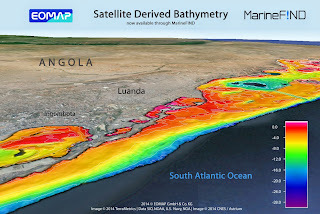 Working together, EOMAP GmbH & Co KG and MarineFIND, the specialist marine data and service division of FIND Maps, have formed a partnership to offer easy access to coastal high resolution and global bathymetry. Collecting nearshore zone bathymetry data has, until recently, been an expensive undertaking. However, advances in the processing of satellite imagery means that low-cost, accurate, high resolution bathymetry to a depth of 20m is now available. 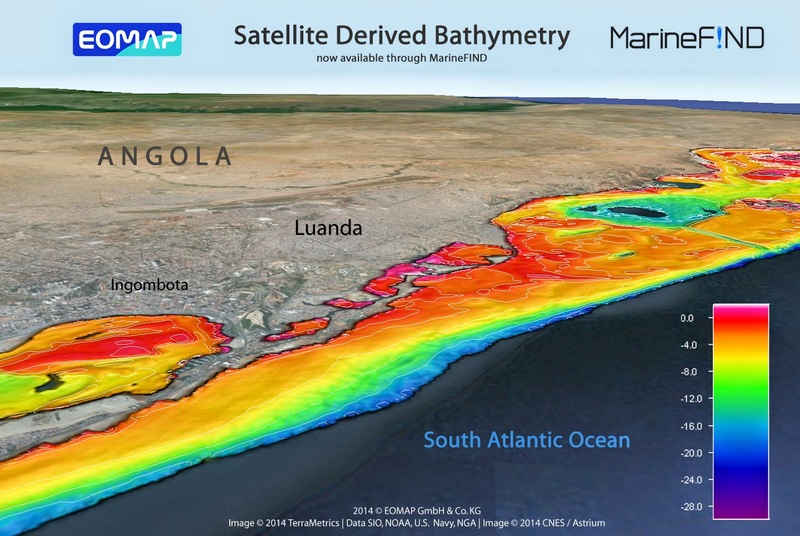 The EOMAP/MarineFIND partnership has developed a new method for easily distributing this data for preprocessed areas and allows the production of cost-effective custom datasets. Jon Coleman, Marine Business Manager of MarineFIND, said: “MarineFIND.co.uk is already one of the industry’s leading GIS portals for marine data. Our expert developers have improved delivery mechanisms – allowing us to serve cost-effective high quality marine GIS data directly to client desktops via WMS technology. Since 2006, EOMAP has provided marine services to clients in the O&G, coastal engineering and environmental sectors. Applications of their large scale techniques include mapping benthic habitats and bathymetry for the Environmental Agency of Abu Dhabi and mapping the whole of the Great Barrier Reef. Recently, EOMAP launched a WaterQuality App to provide easy access to demo data for Australia (http://eoapp-au.eomap.com/). The aim of their latest partnership with MarineFIND is to extend the provision of easy access to usable, complex data. Dr Thomas Heege, CEO of EOMAP, said: “MarineFIND is a unique portal for marine data and we’re happy that it now offers our competitively priced Satellite Derived Service”. If you have a few moments to spare why not watch our short video presentation on FIND Maps new features, including widescreen map viewing, more precise exporting and annotating. FIND Maps now has the ability to create export areas and annotations more accurately by typing in exact values, such as centre points, radiuses and buffers. We've also added dynamic 'widescreen' map viewing. Key benefits: Save time and order exports more accurately. Key benefits: Create more accurate annotations by typing in exact values. Key benefits: Make the most of your screen real estate with a large window to work on your mapping. We have produced a video guide to exporting OS MasterMap in FIND Maps. This commonly undertaken task can be completed in about two minutes for a typical 4ha area. view up to 15ha of MasterMap free per session while exporting. We have produced a video guide to creating 1:1250 A4 Location Plans in FIND Maps. This commonly used feature can be done under 3 minutes using the findmaps.co.uk online mapping application. FIND Maps offers flexible and efficient OS MasterMap printing and annotation. A range of different map scales can be selected, including 1:1250 and 1:2500. Also, a red-line property boundary can be added to the plot using the 'merge polygon' tool that enables you to quickly trace a property boundary. The quality and style of maps is becoming increasingly important to many firms. When presenting maps to a client it’s especially important that they look clean and professional. This is essential for creating the right impression and increasing ‘production value’. For example, boundary maps used in catalogues and listings by estate agents must be accurate and clear. As well as being useful and attractive, they must also complement the overall design of the document or website. 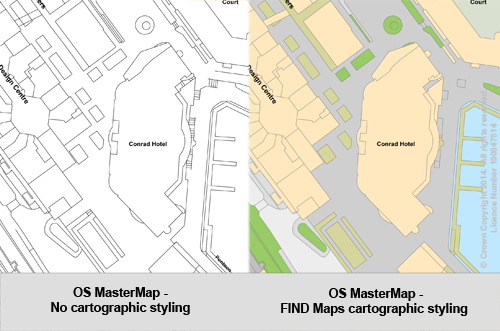 Styling is especially important when using OS MasterMap because it is a vector (data) product that must be styled in order to convert it to rasters for creating prints and images. When hundreds of different map elements need to be individually styled this can be a time consuming process. FIND has carefully styled OS MasterMap to highlight property-related elements such as building outlines and to remove superfluous line work and text. This produces maps that are easier to interpret and are therefore ideal for inclusion in reports and catalogues. FIND Maps's online mapping portal - www.findmaps.co.uk – offers the UK's most advanced and user-friendly mapping software as a business service. Supported by the most reputable data providers in the country, including Ordnance Survey and the Environment Agency, we have catagorised the huge range of data available into Data Packages.